If there is one thing you are bound to have plenty of at Halloween, it’s candy! So if you’re looking for options to use it other than eating it all, I’ve got a fun idea for you. 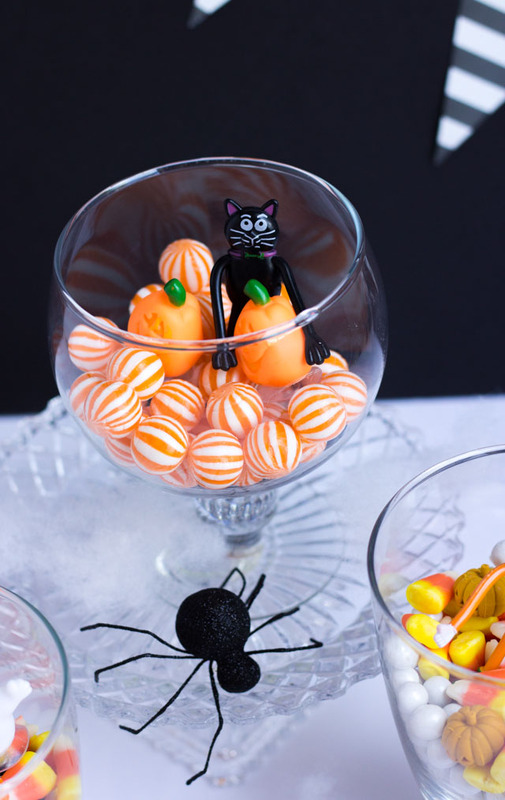 😉 These DIY Halloween Terrariums I made for Oriental Trading’s blog use candy as the base and are decorated with little figurine ghosts, cats, and pumpkins to make cute Halloween scenes. I love switching up this set of three glass jars throughout the year and have also made an Easter and summer succulent version. 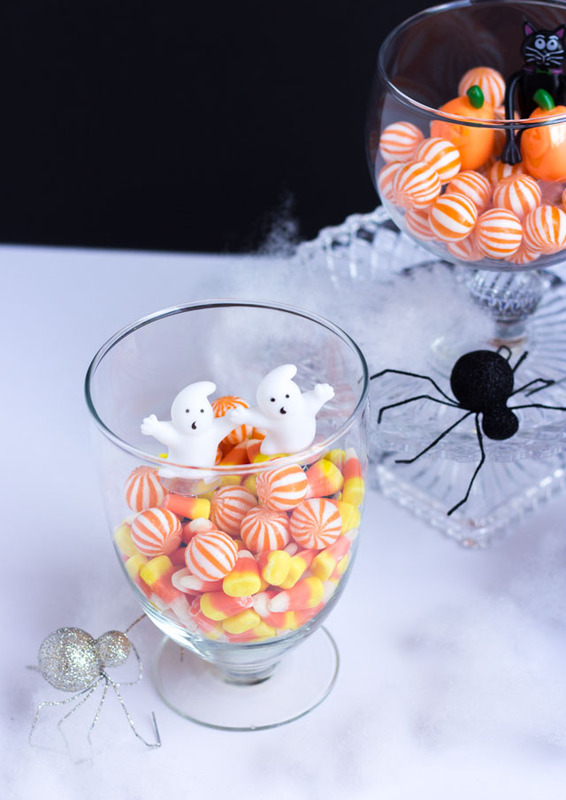 Check them out and read on to see more of this simple Halloween craft! These Halloween characters are bendable. I made this one to look like the cat was picking out his pumpkin at the pumpkin patch! The set comes with 24 characters, so you can use some in your terrariums and mix the rest in with the candy for your trick-or-treaters. I used a mix of candy corn and hard candies for the base of the terrariums, but really anything goes. Even these candy coated chocolates work well and won’t melt unless placed in direct sun. 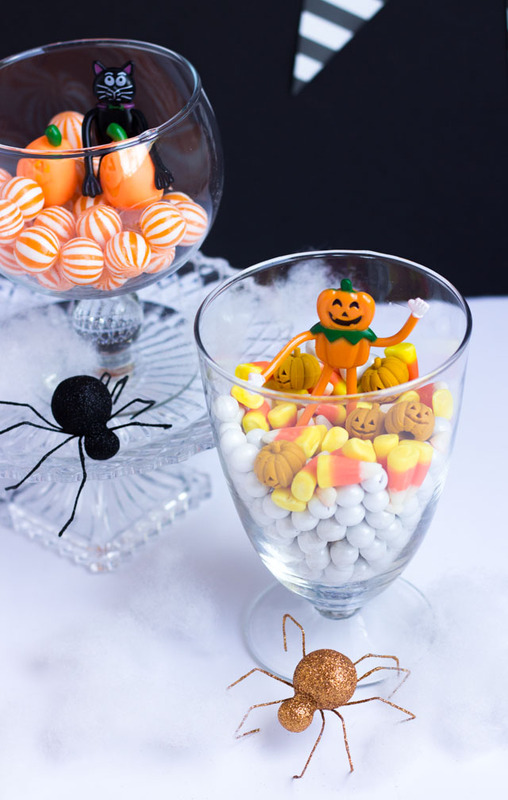 These Halloween terrariums take no time at all to create and make for the cutest vignette on a table or mantel! 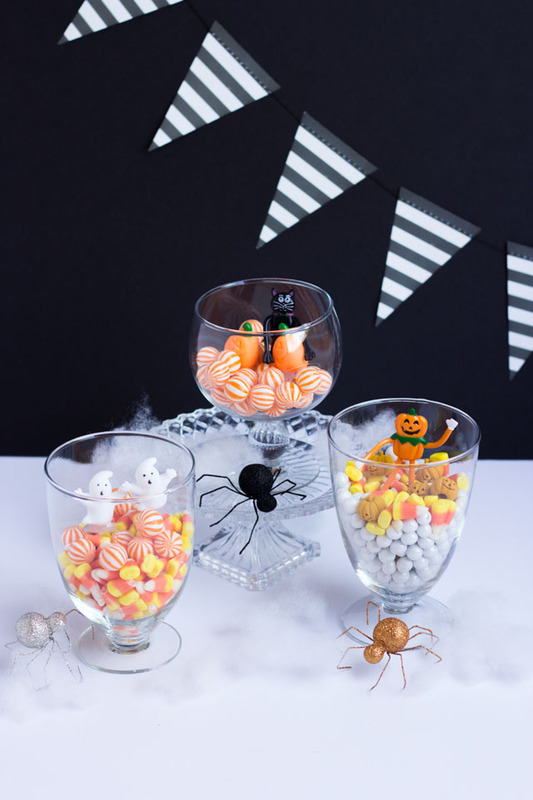 Head to Oriental Trading’s blog for the step-by-step Halloween Terrariums tutorial and a full list of supplies.